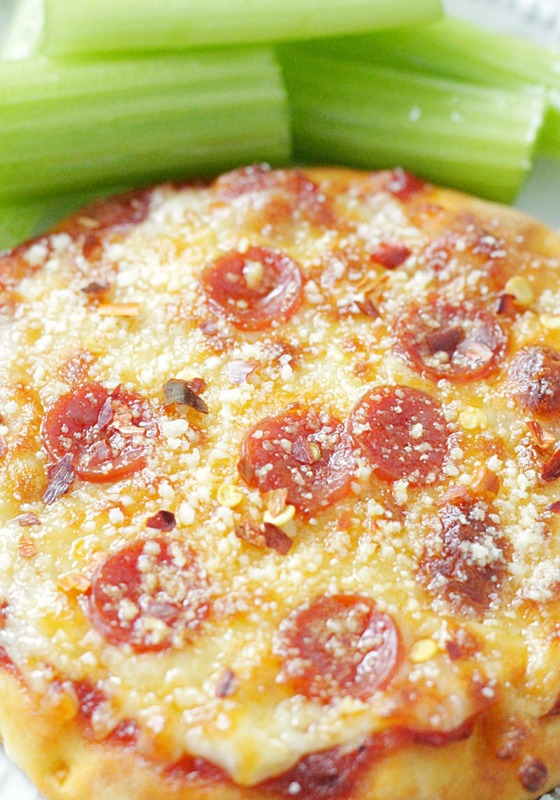 Surprisingly low in calories and amazingly satisfying these Perfect Personal Pizzas (in an Air Fryer) will be your new favorite snack. We ordered an Air Fryer a few weeks ago and so I’ve been experimenting with ways to use it. So far my favorite creation has been these personal pizzas. I start with mini naan rounds. Topped with a good quality jarred pizza sauce, shredded cheese and pepperoni. My kids love these! Once school starts again I’ll be sure and stock these ingredients in the house at all times for quick and easy after school snacks my kids can make themselves. 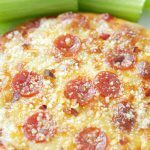 As these pizzas are pictured – topped with a small amount of pizza sauce, about 2 tablespoons of shredded pizza cheese and 6 to 7 mini pepperoni – they have just 200 calories per pizza. Serve one with celery or carrots or some apple slices or fresh berries and your kids have a yummy snack to fuel them for all their after school sports and activities. 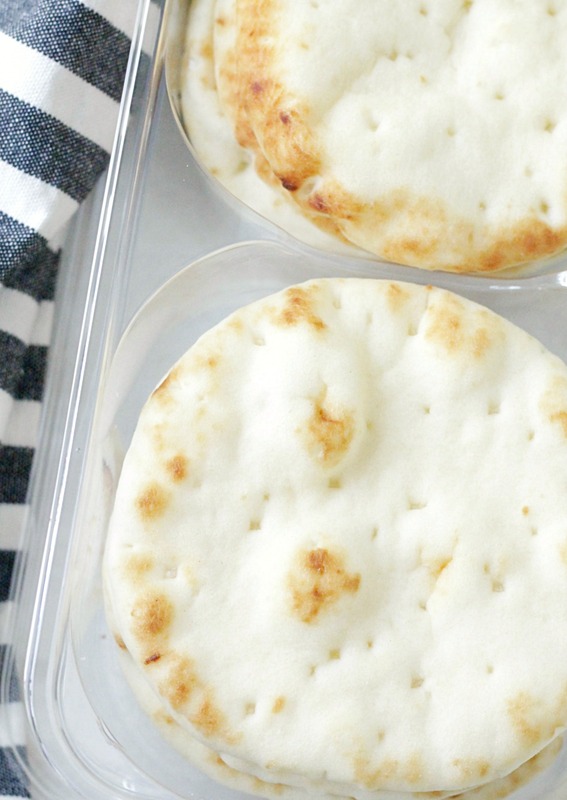 Brush the naan lightly with olive oil and top with thin slices of fresh mozzarella. Bake as directed in the air fryer and top with sliced tomato and a little basil to serve. Spread the naan with a thin layer of hummus, chopped Kalamata olives, artichoke hearts and feta cheese. Thin layer of BBQ sauce, shredded rotisserie chicken, red onion and shredded Gouda cheese. Leftover taco meat, shredded cheddar cheese and salsa (plus lettuce and sour cream after baking). Cooked sausage, pesto and goat cheese. 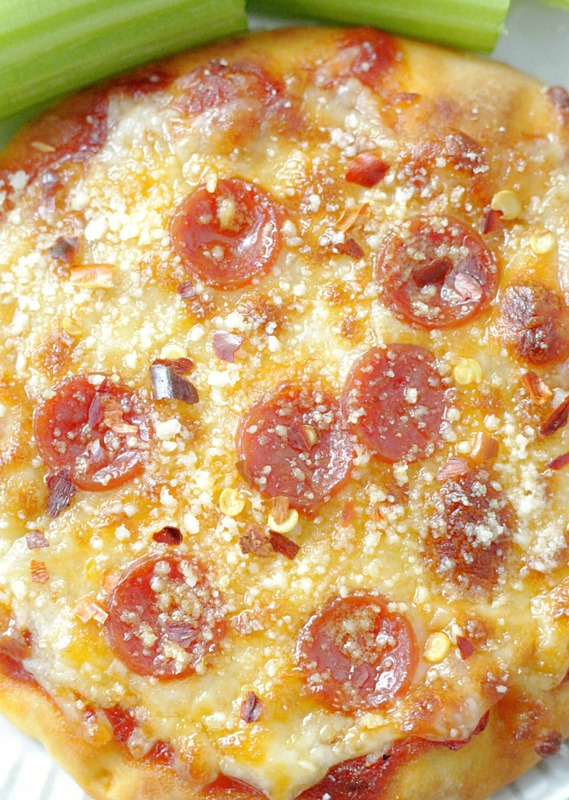 Top the mini naan round with the pizza sauce, shredded pizza cheese and mini pepperoni. 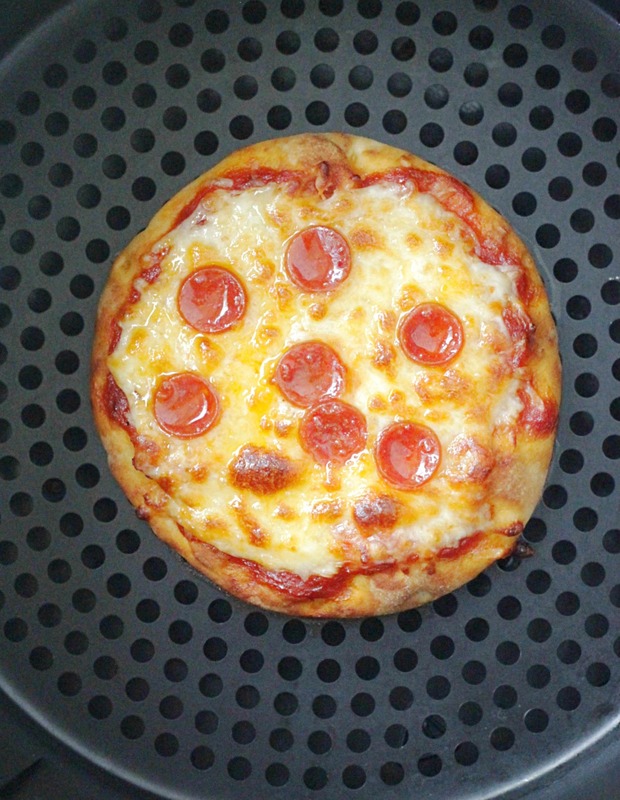 Place the topped personal pizza into the basket of an air fryer. Set the air fryer to about 375 degrees F. "Fry" the pizza for between 5 to 7 minutes- or until cheese is completely melted and starting to brown. Serve immediately. 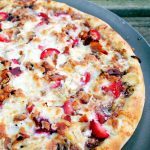 I made this pizza with my grands and it was excellent! Big winner!! So happy to hear this. Thank you for the positive review! Such an easy tasty snack. 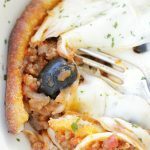 Never tried to make a pizza in an air-fryer, so clever! Yum, these look simple and delicious. I bet they taste as good as they look. I need to get me an air fryer STAT! They really are so tasty. My kids especially love them! I love personal sized pizzas. Cooking them in an air fryer is a great idea! Looks delicious! So delicious! We do this in our air fryer too! I just love all the things you can make in the air fryer! I do too. Very versatile and great for hungry kids. 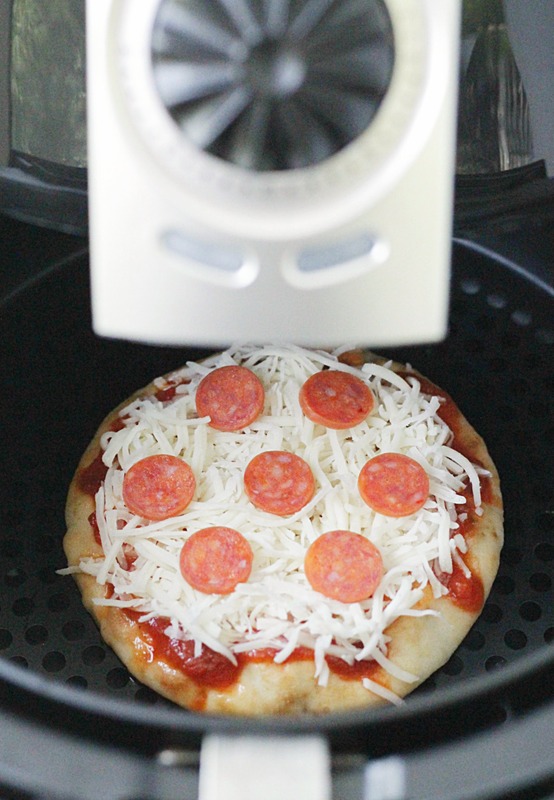 What a great way to use your air fryer! I’d never think to use mine to make pizza but I will do now! Love this! The top of my pizza browned beautifully but the bottom did not. Any ideas of what I did wrong? Not sure. I think there are a variety of air-fryers. Ours don’t get super crispy on the bottom either. But I still feel like I’m eating a pizza. How do you keep the cheese from flying around? I want to try this but I did try a grilled cheese sandwich and the top bread and cheese moved with the air blowing around. My air fryer fan is very strong also & I use toothpicks as I read in a air fryer cookbook. It works great, try it. Great tip – thank you for sharing! This was great and took no time at all. Winner winner pizza dinner! So happy to hear this. Thank you for the 5-star review Rob. I appreciate it! You just made my night. 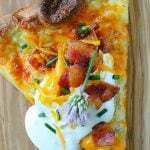 This recipe and this recipe ( https://slice.seriouseats.com/2011/08/the-pizza-lab-how-to-make-new-england-greek-style-pizza-at-home.html) …well minus the homemade sauce ( Shout out to Don Pepinos Pizza sauce!). This had me SOOO nostalgic of my high school years, I was compelled to listen to Tiffany songs! As I write this I’m waiting for a call back from my surgeon regarding the treatment of this cancer…for the fourth time. While simultaneously trying to figure out how to tell my elementary aged daughter that Mommy’s cancer back.